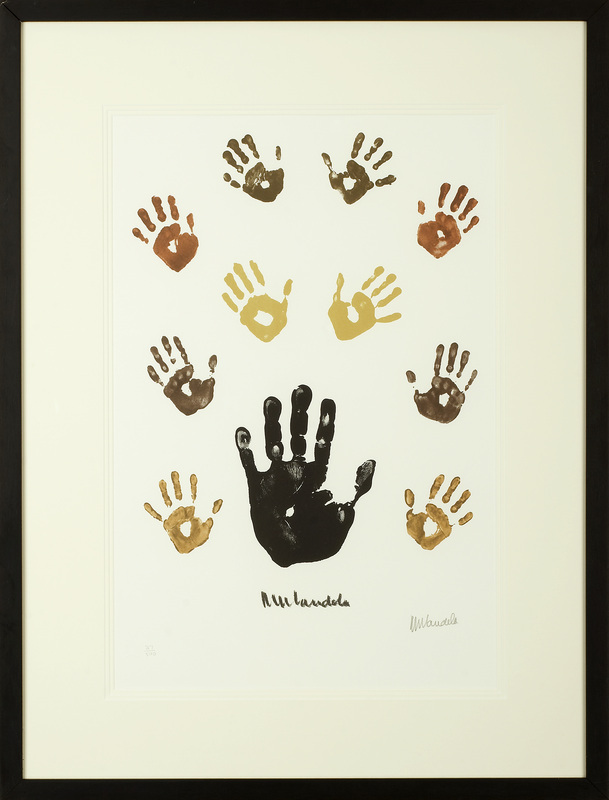 Throughout history few have left so indelible an imprint on the international stage as Nelson Mandela. His courage, his compassion and his humanity are among the qualities than have led to this Nobel laureate being recognized as the world's greatest living statesman. 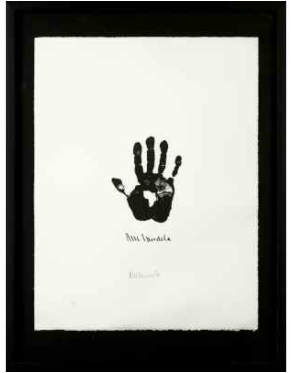 It is therefore fitting that the extraordinary imprint of his right hand should so closely resemble the shape of the continent of Africa. It is as though its rhythms, sources of strength and dynamism were reflected in the character of this truly amazing man who is now also a talented artist. Never did a single individual more powerfully symbolize the hopes of a nation. South Africa became free in the way that it did because his hand reached out to all and thus his name became a beacon of hope to oppressed peoples throughout the world. Africa has historically had a capacity for suffering which has often seemed almost infinite. Following slavery and colonialism, a new scourge, HIV, is afflicting millions throughout the continent. 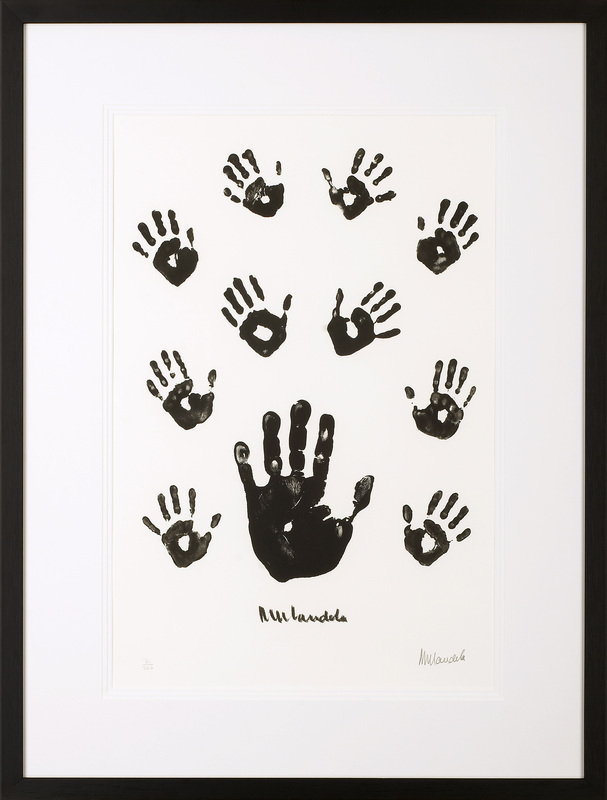 In the second of these works, the imprints of the hands of children affected by HIV surround that of Nelson Mandela's left hand and this image has a haunting sadness as it reflects Africa's new and truly tragic dilemma. The numbers of those already afflicted by this terrible disease are truly appalling and the forecasts are absolutely chilling. Nelson Mandela, now in his eighties but as resolute as ever, is once again reaching out to answer the new cry from those suffering in his beloved country.